MyAcademier™ provides a secure and user-friendly platform for teachers, students, parents and management body of your institution. The various modules available in MyAcademier takes care of all the processes in your institution, right from admission of new students to generating transfer certificate, when the students completes their studies. 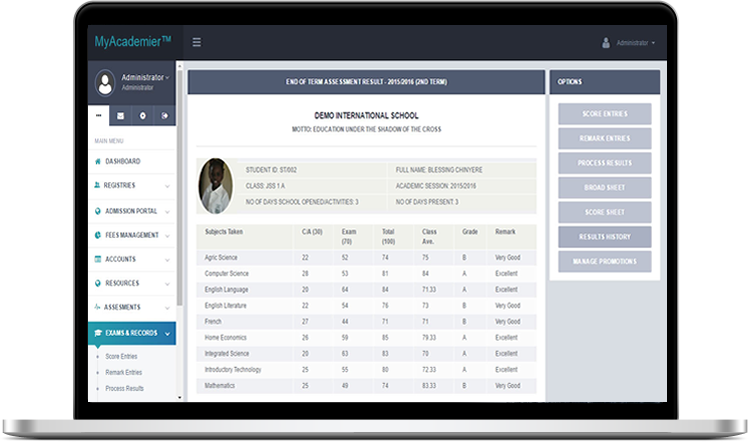 MyAcademier™ Suite is a cutting-edge solution that offers modules that helps to manage Students Enrollment, Financials, Timetable, Attendance, Examinations, Result Grading, Hostel, Library, Transportation, School Calendar, Campus News and many more. 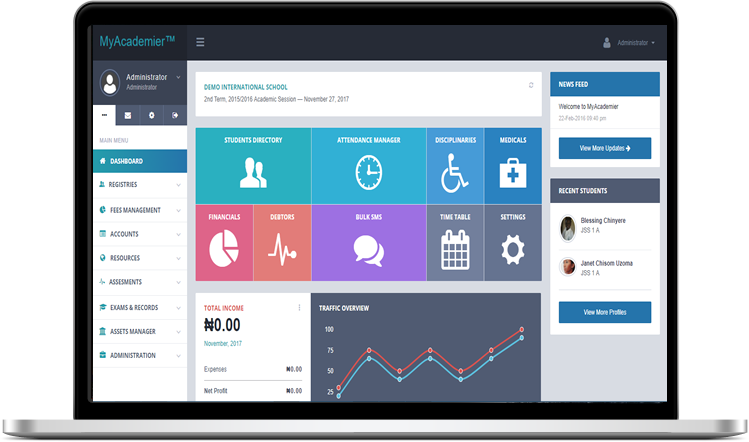 It has a fully-fledged Human Resource module to manage the payroll and employee pay slips. The Finance module helps you to plan and allot different fee structures to students, Activating Online School Fee Payment is as simple as 123... All it takes is 3 clicks and 3 days to activate your choice of payment gateway! MyAcademier has everything you need to manage your school. It just works. It's easy to learn and use. It looks great. It's affordable with no hidden costs. 24/7 Phone and email support is 100% free! MULTI USERS - 24 X 7 X 365 access to your Administrators, Teachers, Students & Parents. Application provides access to all your stakeholders who get to see what they are expected. MyAcademia™ helps schools keep track of their cash flow daily, weekly, monthly, termly and yearly. 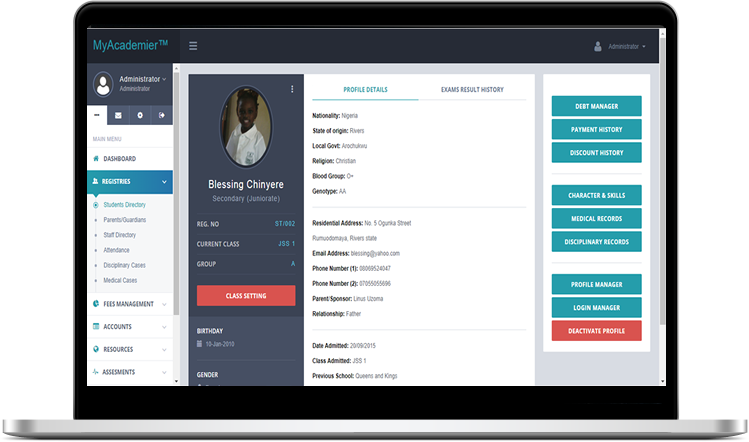 MyAcademier™ is an integrated cloud solution that connects school administration, the classroom, and the home! MyAcademier Has Powerful Features that Make it Easy to Engage Students, Teachers, Parents and The School together. MyAcademier also offers a platform for taking examinations online for schools that offer such services. It supports a messaging system between school and the parents/gaurdians of students, between management and staff. MyAcademier is available on cloud subscription or private deployment. It's very flexible and can be deployed online, on a local network or a standalone PC. you only get to pay for what you use! Please Note: Cost of Training & Deployment Logistics depends on the location and duration of training. Annual Maintenance/Support fee is optional for offline (local) deployments only. (By G.U Ake Road, Eligbolo), Port Harcourt, Nigeria.